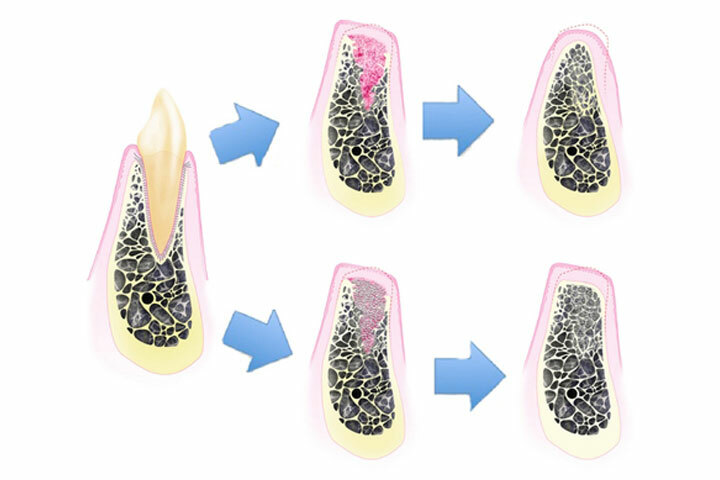 Ridge Preservation Procedure prevents bone loss after tooth/teeth extraction(s). Dr Chou will perform this procedure at the time a tooth is extracted to preserve the underlying bony structure. It’s necessary because, when teeth are extracted, over time, the tooth-supporting alveolar bone resorbs away which can compromise the aesthetics and function of your dental implant or denture. This can be comfortably performed under local anaesthesia, but Dr Chou can discuss the option of general anaesthesia for extra comfort.